A tiny shop in the food court that has been consistently serving very good ‘non Indianized’ Italian food for almost a decade now & I wud say the second best Italian joint in Gurgaon keeping aside the fine dining restaurants. 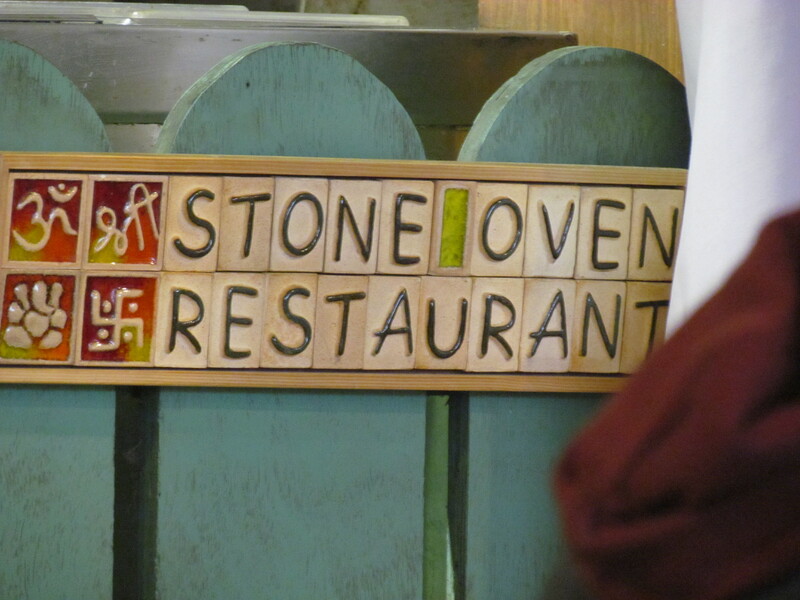 Written on stone – Coexistance of Swastik, Ganesh, OM & Stone oven!!!! Ever since we landed up at Gurgaon 9 years back, we have been going to this place & not much has changed except the fact that we wud see a Mid aged Lady Managing the Shop then & this time around we saw a young Couple managing the show. The Name of the Restaurant seems to have changed – It was WOW Italia earlier. Zomato still lists it as Wow Italia. 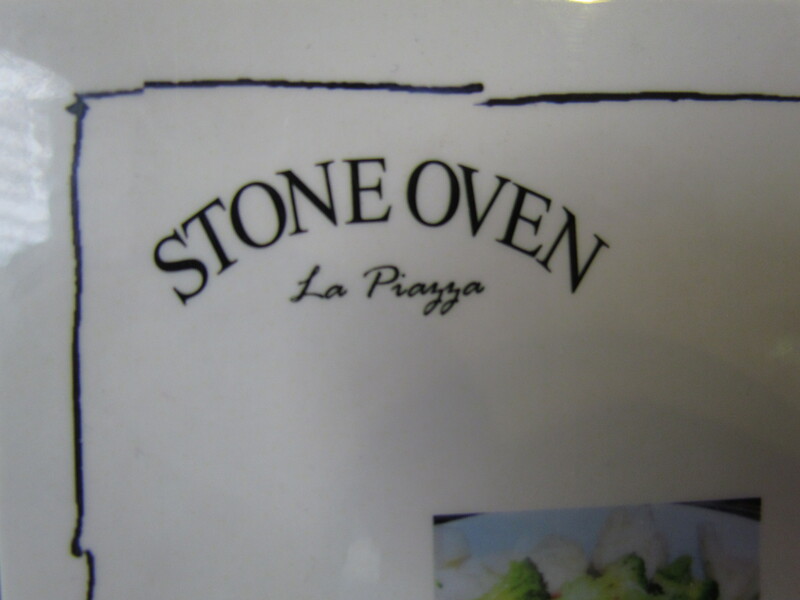 Now I cud not see that name anywhere in the shop – Just saw ‘Stone oven Restaurant’ written at one corner & ‘La Piazza Stone Oven’ written on the menu card. Apart from the confusion over nomenclature, the eatery has almost everything else sorted. Constant presence of the Owners ensures that there r no / less slips in the quality / taste of food. 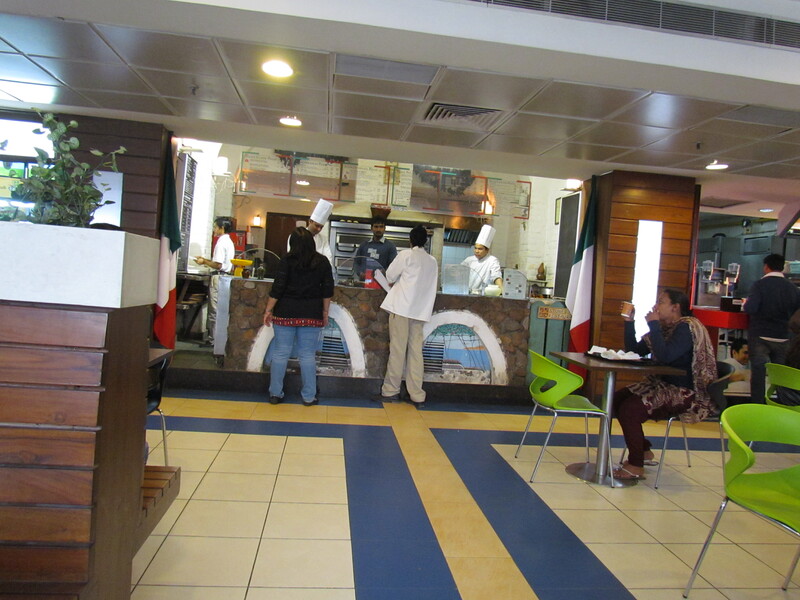 The place has a open kitchen & the pizzas are rolled out right in front of u – in case u wanna stand at the counter & watch the guy roll out a pizza, do the toppings & put it into the oven. I always loved this part of the experience. The kitchen is as neat & clean as possible – the part that is visible from outside. I had my first Lasagna & Ravioli at this place many years back , followed by the same dishes in the US, Hongkong & Europe. Even today, after trying these dishes around the globe I like the basic tasty version that is served at this restaurant. Food is generally good & of course depends on what exactly u offer – Needless to say this is the lowest price that u can land Good Italian food in Gurgaon. Always have loved the Pizzas here in addition to the pastas, ravioli & lasagna. Keeping the top end fine dining Restaurants, I guess only Fat Lulu’s pizzas are somewhat better that this – that makes it second best Italian in ‘affordable range’ in Gurgaon. 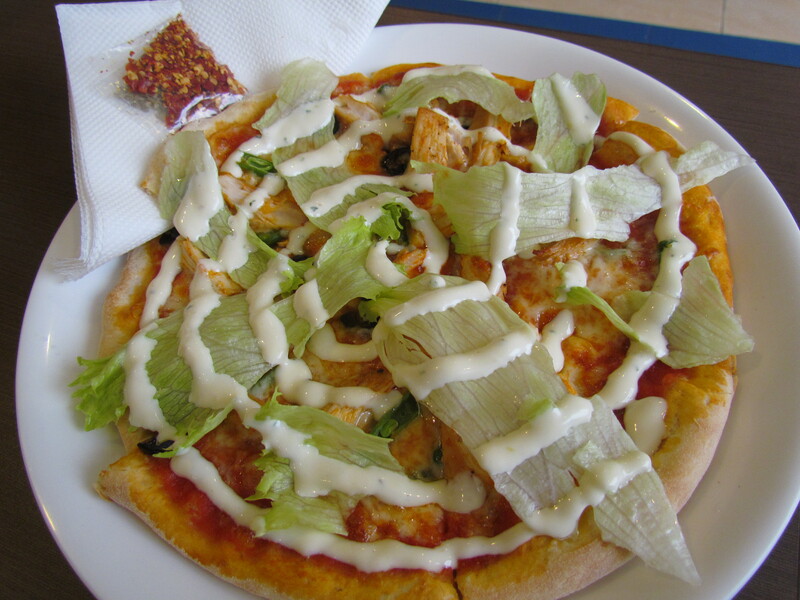 We started our meal with a thin crust pizza – Greek Pizza. Menu card mentioned ‘Feta cheese, olives, marinated beans, lettuce, garlic dressing, chicken’ as ingredients. Liked the thin crust & its crispiness. However, the one at Fat Lulu’s is much better. The chicken pieces did not make any difference – they were flat. The feta cheese made all the difference – It made the pizza juicy & nice. 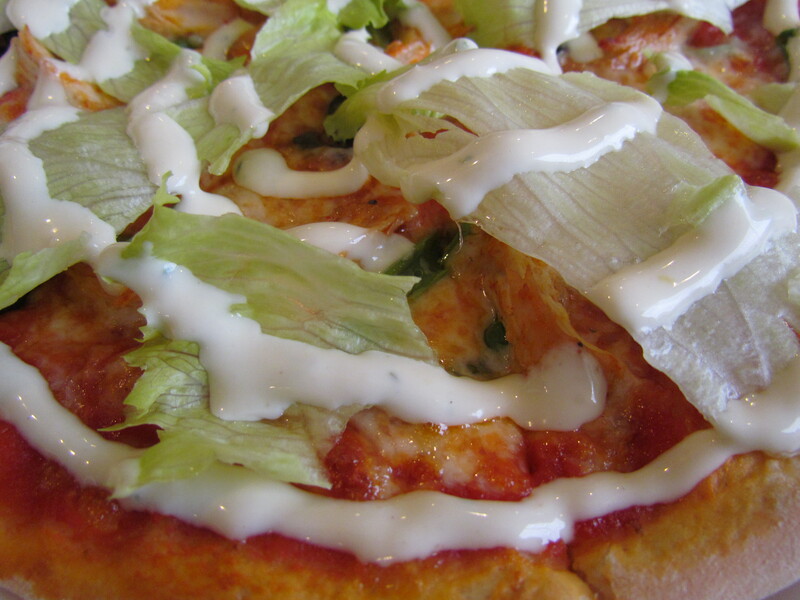 Lettuce added an element of surprise & positively contributed to the texture & feel of the pizza. Garlic dressing was interesting as well. I wud give this pizza a 3.75/5. 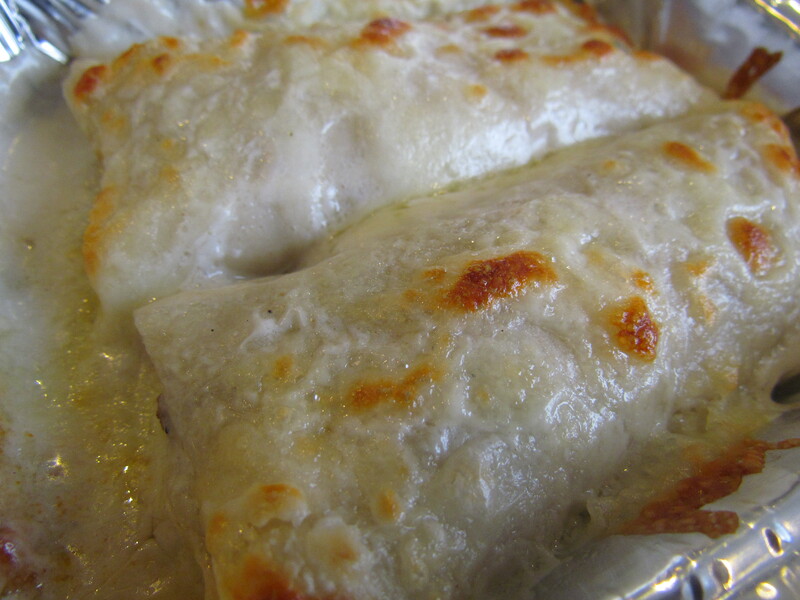 Post the pizza we tried Cannelloni – Home made pasta pocket stuffed with minced lamb, topped with cheese sauce & baked. This was real good. The baking had left some nicely browned top. The cheese sauce was creamy & complimented the pasta pocket. The pasta pocket (cannelloni) was superb to taste. The minced lamb within was juicy, intense & very tasty. I wud give this a 4/5. 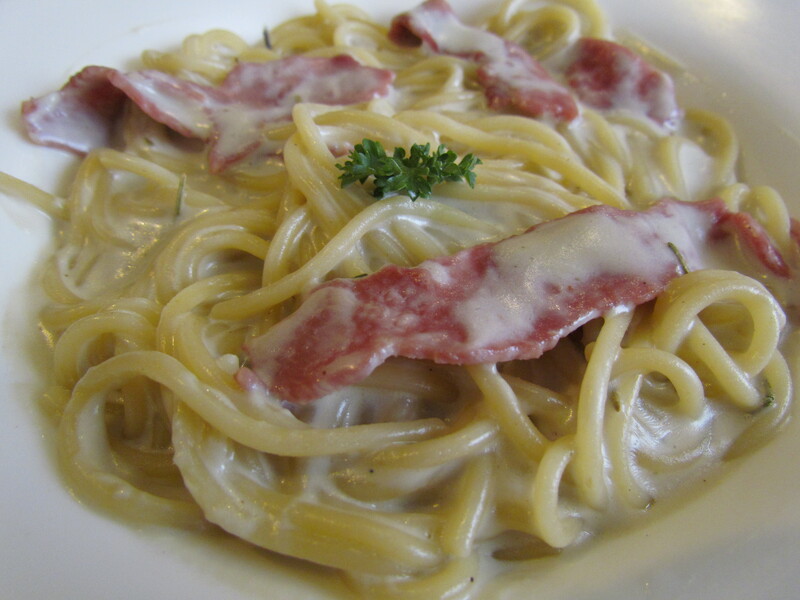 The last item we tried was Gorgonzola – It had ‘Fresh cream sauce, Gorgonzola cheese, rosemary, capers, olive, parsley, spaghetti, parma ham’ as per the menu card. For the uninitiated, Gorgonzola is a veined Italian blue cheese, made from unskimmed cow’s milk. It can be buttery or firm, crumbly, robust taste and quite salty. This was the most ordinary of all dishes we had in that meal. The otherwise strong taste Gorgonzola cud not make its presence felt , unlike the one at Mediterraneo, Khajuraho. Fresh cream sauce was in abundance. In absence of parma ham they had given us Swedish ham & that was the only good part. It was Good but not great. I wud give this a 3/5. Overall rating for food at Wow Italia adds up to 3.6/5. As compared to the largely tasteless food available in most food courts, this one is a brilliant option. I will keep visiting this place when I am running low on funds / when I happen to be at MGF Mall. However, if I am Pizza hungry, I wud rather go to Fat Lulu’s.